These are the lightest, fluffiest baked doughnuts I have ever made! You can flavor this a number of ways too. 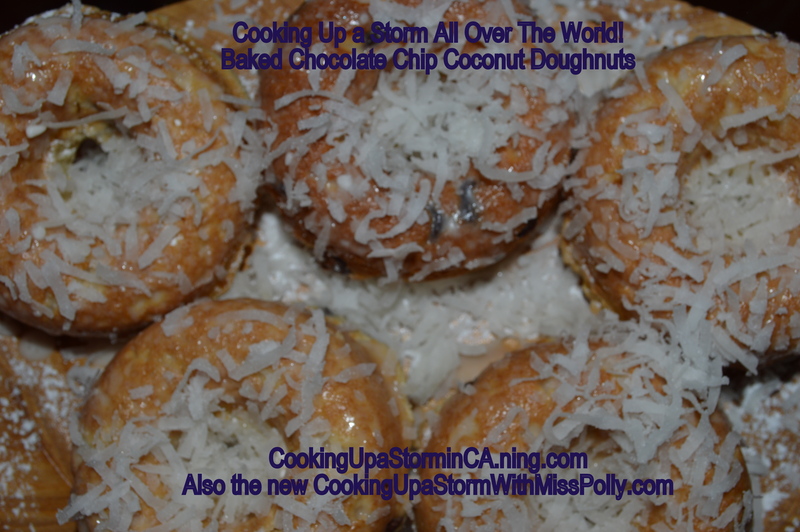 You will need a Wilton Baked Doughnut Pan to make this recipe. 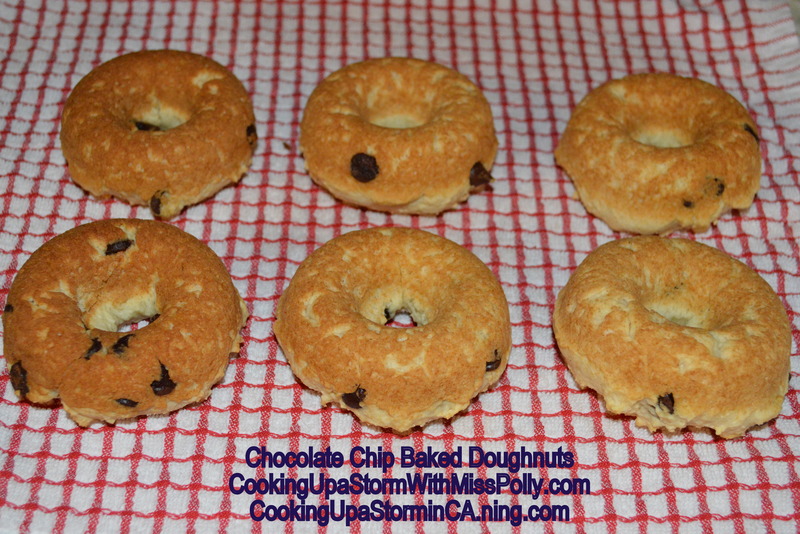 For each doughnut put about 1/4 cup batter carefully spooned into a greased Wilton Doughnut Pan. Spray doughnut pan with non stick spray. I like Emeril La Gasse’s Non Stick Canola Spray for baking, stir frying and grilling. It is awesome! In a medium size bowl, mix Bisquick Baking Mix, 2 tablespoons of the granulated sugar, 2/3 cup milk, 2 teaspoons of the vanilla, unless you are using a concentrated baker’s vanilla, at which time you add enough to equal two teaspoons regular, and add one egg. Stir until blended, but don’t over mix. Add in semisweet chocolate chips to the batter. You can also add any other kind of baking chips like butter scotch chips or even Ghiriadelli White Chocolate Premium Chips to the doughnut batter. I like to add some grated fresh nutmeg to the batter because it just doesn’t smell or taste like a doughnut to me without it! Once the pan is filled with doughnut batter-should be 6 of them, bake for about 7 to 9 minutes and then immediately remove doughnuts to a cooling rack then cool completely before icing. This is the perfect weblog for anyone who wants to learn about this subject. You understand so a lot its just about difficult to argue with you (not that I basically would want?-HaHa). You absolutely put a new spin on a subject thats been written about for years. Outstanding stuff, just amazing! Nice post. I discover something more challenging on various blogs everyday. It’ll normally be stimulating to read content from other writers and practice just a little something from their store. I’d prefer to use some using the content on my blog regardless of whether you do not mind. Natually I’ll provide you with a link on your internet weblog. Thanks for sharing. Very good idea indeed! Labor Day is around the corner. I will put something up related to it now. Labor Day is right around the corner, and it’s time to start thinking about what great meals you will prepare. (This include adding salt and pepper for taste) And lastly, put the mixed ingredient into your pepper and put it into the slow cooker. scoop vanilla protein powder. I am glad you thought my baked doughnut recipe is cool! 🙂 Thanks for taking your time to tell me. This site took a lot of my time to CREATE, but I am really happy with the results. I wanted it to be an online cook book with the index on the left hand side. 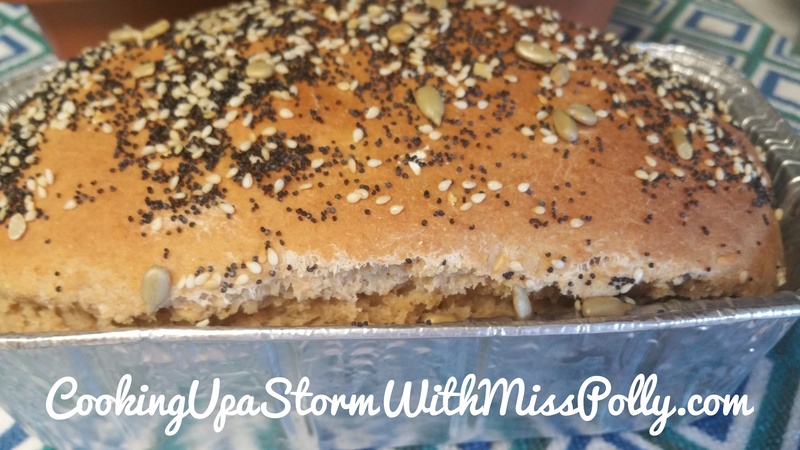 Every time I search the world for the best recipes, travel articles and other information that I want to share with my readers, including what I create, I categorize each post so anything related to it appears on the left of the screen. Then you can simply click on the link and it will take you to everything on the site about that topic. I am happy to see my work paid off with happy readers like you! Photos will be coming soon! Stay tuned!